Geekmobile is a Friendly, experienced Computer Repair company operating at Smithfield. Our Technicians are of the highest standard and we fully cover Smithfield and the surrounding suburbs including Westmead, Mays Hill, Cabramatta West, Prairiewood, Merrylands West, Fairfield East, Fairfield, Cabramatta, Woodpark, Guildford, Girraween, Constitution Hill, Wentworthville, Fairfield Heights, Edensor Park, Bossley Park, Abbotsbury, Yennora, South Wentworthville, Greenfield Park, Fairfield West, Canley Heights, St Johns Park, Smithfield West, Merrylands and Greystanes just to name a few! Smithfield is serviced by the techs based in these suburbs and surrounding areas: Lam (Fairfield West), Alex (Abbotsbury) and George (Bossley Park). 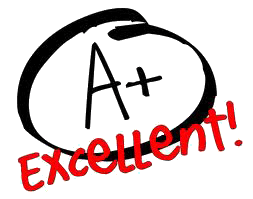 "Gary was awesome, very accommodating and flexible re pickup and dropoff - I don't know when he rests! I have already referred him."